Home Blog General What is Addison’s Disease in Dogs? A pet owner’s life is never dull. In addition to the regular shots, checkups, diet, and environmental conditions to think about when it comes to the care of your dog, there’s also the threat of severe illness or disease to consider as well. For example, your pet may suffer from an autoimmune disease at some point in his life; there are several different types that affects dogs. Hypoadrenocorticism, more commonly known as Addison’s disease, is one of them. Addison’s disease results from reduced corticosteroid secretion from the adrenal gland. In simpler terms, it means that normal body functions are being disrupted. The adrenal gland is responsible for secreting substances to help keep the body regulated. It also affects a dog’s blood pressure, metabolism, stimulation of red blood cells, and it works to counteract stress. Conversely, when the adrenal gland produces too much corticosteroid, it’s called Cushing’s Disease. This is found more frequently in dogs. Fortunately, when either disease is diagnosed promptly, it can be successfully treated. There are two types of Addison’s disease: primary and secondary. If your dog develops primary Addison’s disease, it means the immune system is destroying the adrenal gland. This could be caused by a reaction to certain medications, toxins, or other diseases. Secondary Addison’s disease is the result of an underlying health condition, which is what prompts disruption in the adrenal gland in the first place. Severe cases of Addison’s disease in dogs can result in a necessary emergency room visit followed by a hospital stay. This type of autoimmune disease is most commonly associated with young to middle-aged female dogs. Great Danes, Poodles, and Westies are among the breeds most predisposed to be at risk. If your dog falls into any of these categories, it doesn’t automatically mean Addison’s disease will develop. This means you should just be extra cognizant of any changes in behavior. What may seem normal in one dog may be abnormal in another. Since you are the one who knows your pet best, you’ll know if something seems out of the ordinary. If your dog presents any of these symptoms, keep track of when you started noticing the changes and be prepared with notes when you take him in to see the veterinarian. Keep in mind that several of these symptoms could be indicative of other types of diseases or health conditions. This is why it’s important to monitor your pet’s health and give the doctor as much information about the frequency and severity of symptoms. The more that’s revealed about your dog’s condition, the more accurate the diagnosis to ensure correct treatment is administered. In addition to the signs already listed, Addison’s disease is typically diagnosed during the acute stage when a dog experiences more severe reactions, such as shaking and possibly collapse. If your pet experiences either of these symptoms, it’s time for an emergency visit to the veterinarian. Whenever you first begin to notice symptoms, it’s a good idea to make an appointment to prevent more dangerous scenarios down the road. The veterinarian will run specific blood and urine tests to check for levels of calcium, sodium, and chloride in the blood. Changes to these levels, in addition to high levels of potassium, are strong indicators of Addison’s disease. An electrocardiogram (ECG) may also be necessary to check the status of your dog’s heart. But the main test for this specific type of canine autoimmune disease is the adrenocorticotropic hormone (ACTH) stimulation test. This captures how the adrenal glands are functioning and if they are working at normal levels. When you schedule an appointment with your veterinarian, be specific with your concerns and bring all documentation with you to show the progression of symptoms and recent activity your dog has experienced. In the acute stage of Addison’s disease, your dog will need to have intensive therapy with hospital monitoring. From there, the veterinarian will determine when your dog can transition to medication to help aid his corticosteroid deficiency. This typically includes prednisone, a steroid, to be administered daily and a mineralocorticoid to be given monthly. Follow up care will be required to assess how your dog is responding to the medication and if there needs to be any adjustments. Addison’s disease is treatable but not curable, which means once your dog is diagnosed, he will need to take prescription medication for the rest of his life. Even if your dog’s symptoms subside significantly over the years, don’t stop or reduce dosage amounts without consulting and getting the green light from the doctor. Not every dog responds to treatment in the same way. It may take a few months to find the dosage that works for your pet to help alleviate symptoms. Each veterinary visit will require bloodwork and a check up to make sure your dog is responding in a healthy way and the steroids are doing their job. Many pet owners choose a more holistic route as part of their dogs’ treatment, which can help boost your pet’s overall health and well-being. Your veterinarian’s advice is the best way to go, but these types of alternative treatments can help complement what your dog has been prescribed. Any time your dog’s health is in danger or requires a lifestyle change, the first place to look to is his diet. Is he eating the right amount of nutrients? How often does he eat? What can you do to improve his nutritional intake? In some cases, dog owners choose a raw diet that represents “clean eating” with whole foods, no preservatives or chemicals. A purely organic, plant-based food and supplement regimen can help boost your dog’s health. It’s true; dogs can also benefit from the therapeutic nature of massage and acupuncture. Both practices have been known to help dogs with other health conditions like arthritis, seizures, skin problems, and behavioral issues. It can help with some of the pain or symptoms associated with Addison’s disease. It also helps alleviate stress and anxiety in dogs, which is known to exacerbate effects of the disease. If your pet has recently been diagnosed with Addison’s disease or you’re worried that your breed of dog is more susceptible to the disease, you can learn more information about how to care for your pet. Get as much information as you can about what actions to take to make him feel as comfortable and healthy as possible. For specific questions regarding your pet’s health, speak to your veterinarian and feel confident in knowing how to give your pet the best at-home care possible. My dog has just been diagnosed with Addison’s disease – what now? It will be up to you to closely track your dog’s health and progress. As he adjusts to his new medication, you’ll want to take note of any significant changes in health or behavior. Also, introduce complementary therapies a little at a time. 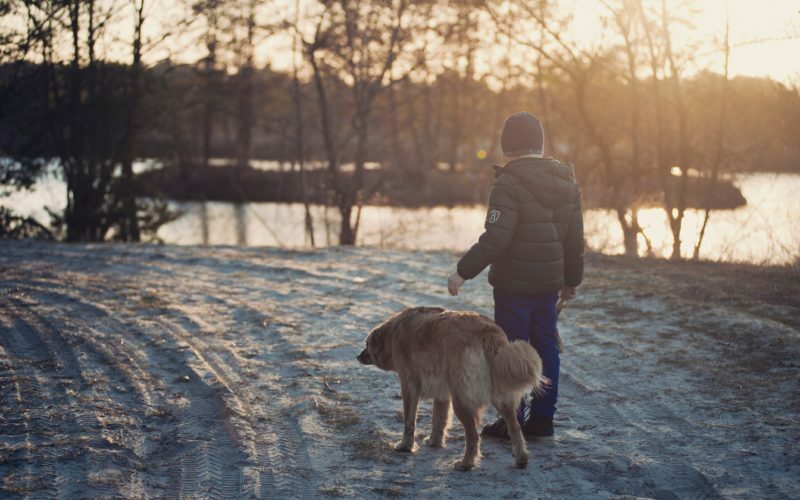 Your dog will already be under stress from the disease; changing his whole lifestyle and routine at once may only add to the stress and aggravate symptoms even more. For every new therapy you introduce, record how your dog reacts to it. Since each dog will have different environmental factors affecting his course of care, each situation will differ. Will I need to feed my dog a special diet? It depends on what kind of diet your dog follows now. A diet of healthy foods with no preservatives or additives is usually best for dogs. Adjust his eating habits to include more of these types of foods and treats, and the better it will be for his overall health. 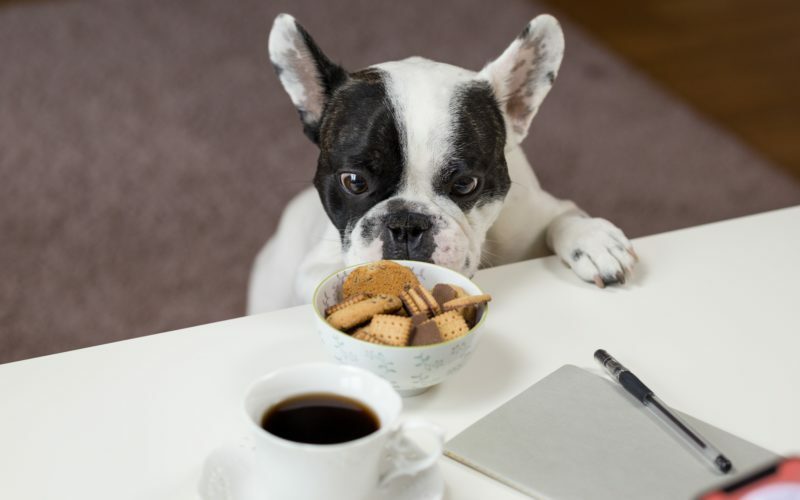 Over time, your dog may develop food sensitivities or allergies, which you’ll want to be wary of since this can affect your dog’s behavior as well. These could lead to possible symptoms like appetite loss or vomiting and diarrhea in dogs. Unfortunately, it is not preventable as it is often hereditary. But there is treatment available so your dog can still live a fulfilling life. Once diagnosed, you will need to provide extra care, especially in the first few months or years. But once he gets in a routine, it will seem like the normal way of life rather than specialized treatment. How is Addison’s disease different from other autoimmune diseases? Addison’s disease in dogs deals directly with the adrenal gland, whereas autoimmune disease, in general, can affect several different organs. Canine autoimmune disease can affect the endocrine system, skin, eyes, and digestive system to name a few. Should I try holistic treatment for my pet? Your veterinarian will provide you with recommendations for treatment, which will most likely require medication. However, try different methods of care to see what your dog responds best to. The goal is to keep your dog as healthy and comfortable as possible. Some pet owners prefer to stick with the traditional health care route, while others like to incorporate alternative medicine into their pet’s wellness plan as well. What kind of information should I give to my dog’s daycare once he’s been diagnosed? Anyone who cares for your pet should have an updated history of his health and day-to-day routine. This includes names of medications and dosage amounts; name of the veterinarian and office number; symptoms to keep an eye on; limitations to any physical activity; diet restrictions; and anything else that may concern the health of your dog. Save it in an easily accessible document and update and disperse as needed. You may be used to your dog’s daily routine, but it’s important that others who care for him are comfortable implementing that routine as well. Is there a cure for Addison’s disease? No. It’s not a curable disease but it can be treated. It will require a long-term commitment to your dog’s health once he’s diagnosed. He’ll need to take the prescribed medication throughout his lifetime. It may change in doses or frequency over the years but it will be dependent on how well he responds to the medicine and if there are any changes to his health. An Addison’s disease diagnosis will require some changes to your pet’s lifestyle. Fortunately, with the right kind of treatment and care, your dog can have a positive quality of life. If you are able to detect the symptoms early on, you can prevent any other serious conditions occurring as a result. As a dog ages, the more fragile his health becomes and the more important it is to pay close attention to his needs. On the other hand, the older your pet gets, the easier it will be to gauge his behavior, instinctively know when he’s not feeling well, and realize when symptoms aren’t temporary but deserve a visit to the veterinarian. It’s best to be as proactive as you can when it comes to your dog’s health. But when it comes to canine autoimmune disease, it may just happen by pure chance. It’s never fun when pets get sick but by arming yourself with information, you’ll know the next steps to take if your dog is ever diagnosed.